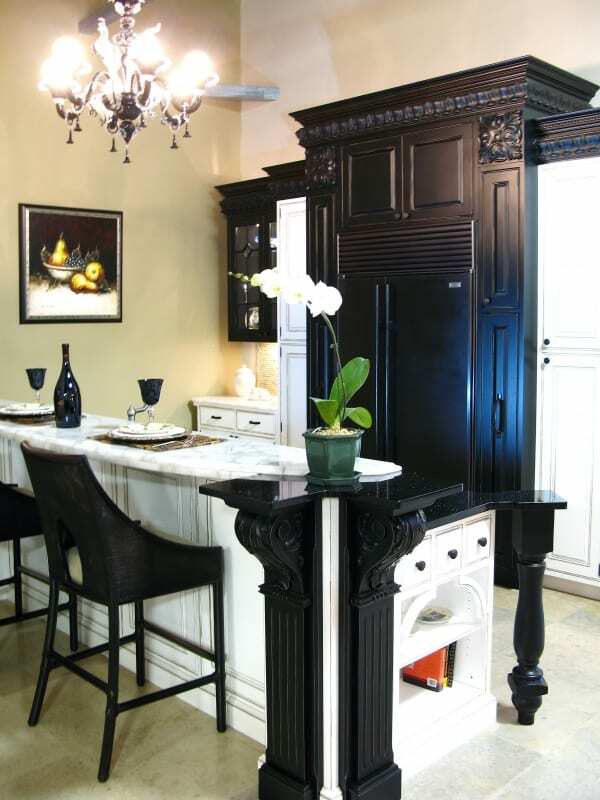 Black & White Elegance Kitchen | The Creative Edge, Inc.
* Painted, distressed beaded inset cabinets by Craft-Maid. * Hardware by Atlas hardware. * Enkeboll moldings, turn columns & corbells.